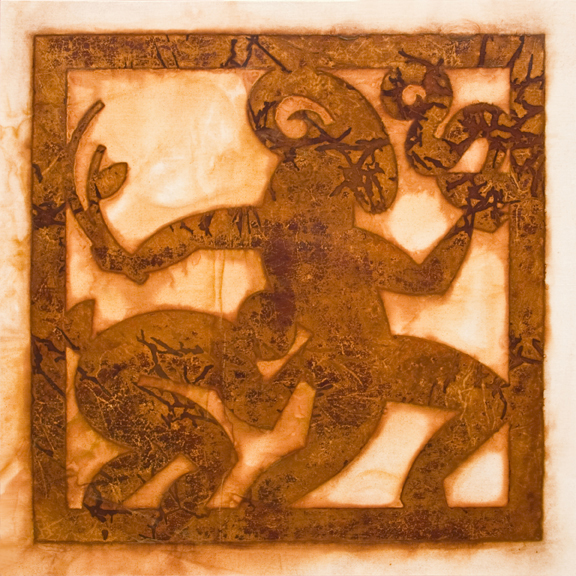 Cabeiri Rites, Rust Print, 24 x 24 in. December 1-2 and 8-9 from 10am to 4 pm the artists of Vashon Island open their studio doors to share art and process with friends and patrons. This year I am studio number 9 on the tour. I always look forward to this event. Here is a link to the Vashon Island Art Studio Tour Holiday 2012 lineup of studios. Cabeiri Rites is one of many new rust prints I will be showing for sale in addition to my other print, paint and assemblage work.